Smooth Office Dress Leather Belt. 1-1/8" = 30mm Smooth Genuine Leathe Stitched Edges with 5 Adjustment Holes. 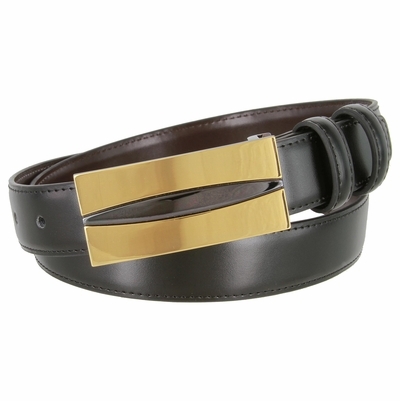 Gold finish Buckle with black center enamel and 2 Leather Loops.